Stop and take a breath. Although, this may sound obvious many people forget about this. The next time you feel anxious or tense, take a minute to notice if you are breathing fast or holding your breath. Breathing retraining. 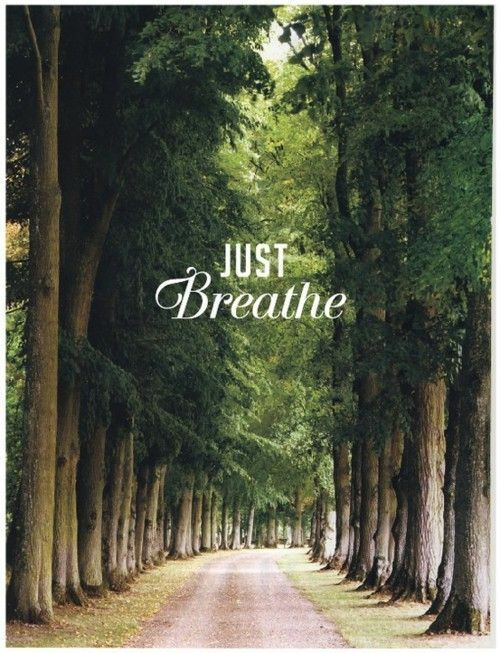 Spend 30 minutes a day focusing on your breath in a quiet place. You can break this down into three 10 minute sessions. Spend time outdoors. Most of us are inside all day sitting under fluorescent lighting. Go outside when you take a break and breathe in the fresh air. Take a yoga class. This will help you slow down. It is important to stretch, research has shown this is good for us both, emotionally and physically. Drink plenty of water. We hear this all the time. Make sure to have your water bottle with you at your desk and sip it all day. Eat healthy food. It is important to take care of your body and what you put in it is very important. Research has shown that eating nutritious foods is good for us both, emotionally and physically. Spend time doing things you love. And, spend time with people that you love and people that you know love you! Make sure you spend time doing things that revive you. This is not the same for everyone. For example, some people love to shop, others love spending time at the beach and others enjoy relaxing at home.